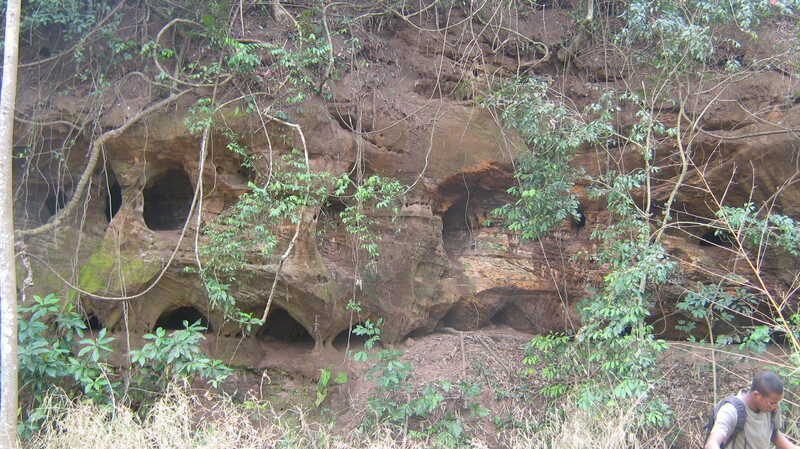 The Failed Rift is the personal blog of Ikenna A. Okonkwo: a geologist currently living in Nsukka Nigeria. I am at the beginning of a career in the academia after finishing undergraduate studies at the university of Nigeria Nsukka. I write about the geosciences, particularly Structural geology (which is where I’m heading) and also, from time to time, other topics (energy,culture,ethics…). I am lover of the great outdoors and I share pictures from field locations all around Nigeria and beyond. Failed rifts are extensional basins where continental rifting began, but then failed to continue to the point of break-up. Eastern Nigeria is dominated by the Northeast trending Benue trough which is classified as a failed rift. My home town, the university of my undergraduate years and just beginning post graduate years, where I currently live, plus the setting for the coming triumphs and challenges of life in the academia all sit on this rift. I could do with a lot of suggestions and advice and can be contacted by Email : ikennaaokon ‘at’ gmail.com. I write about the geosciences, particularly Structural geology (which is where I’m specializing) and also, from time to time, other topics (energy,culture,ethics, the media…). I am lover of the great outdoors and I share pictures from field locations all around Nigeria and beyond.